Andrew Garfield has come a long way since his days as The Amazing Spiderman. In his newest film, Silence, Garfield plays Sebastian Rodriguez—a role in which he had to lose more than 40 pounds to play. In preparation for his newest acting role, Garfield practiced the spiritual exercises of St. Ignatius, and in the process found himself “falling in love” with Jesus. While Garfield is wary of landing on any religion with “certainty,” as he explained in his interview with Stephen Colbert, he found the exercises and the things he learned about Jesus to be life-changing. 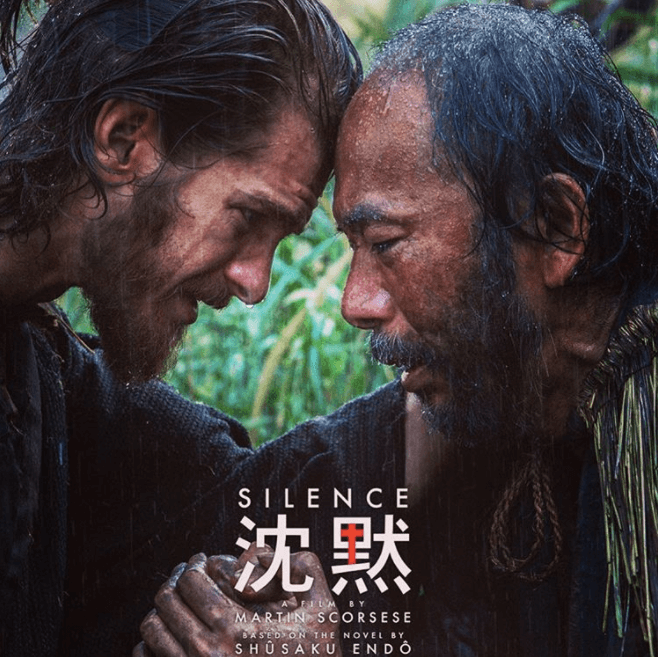 The film tells the story of Jesuit priests losing their faith in the face of persecution in Japan. So it’s awesome to see how an opposing circumstance—priests who are losing their faith—would be the catalyst behind Garfield’s newfound relationship with Jesus. What was really easy was falling in love with this person, was falling in love with Jesus Christ. That was the most surprising thing… That was the most remarkable thing—falling in love, and how easy it was to fall in love with Jesus. The one experience that I wouldn’t want to sacrifice, if I had to choose…it would have been going through those Exercises. It brings me so much consolation. It’s such a humbling thing because it shows me that you can devote a year of your life to spiritual transformation, sincerely longing and putting that longing into action, to creating relationship with Christ and with God, you can then lose 40 pounds of weight, sacrifice for your art, pray every day, live celibate for six months, make all these sacrifices in service of God, in service of what you believe God is calling you into, and even after all of that heart and soul, that humble offering…that humility…even after all of that someone is going to throw a stone and dismiss it. It’s a wonderful, wonderful grace to be given, to be shown. It was ultimately those practices of meditation, prayer and scripture that led the actor to acknowledge the Lord’s presence in his life. Although Andrew Garfield never confesses Jesus as Lord, it’s clear he’s still searching. And it’s fascinating to listen to the authentic transformation he experienced by digging into the life and teachings of Jesus. We pray that everyone, like Andrew, who gets a taste of God’s goodness will give their lives fully to him.